This famous proverb from Yuan Dynasty is a perfect annotation of how teachers are highly honored and respected in Chinese tradition and cultural norms. The Chinese character “尊”(respect) derives from the picture of someone holding up a wine vessel, which indicates offering something nice to someone older or of higher social status. Therefore, in Chinese, respect implied a lot of looking up to, listening to, obeying and offering, which, I believe, has become increasingly difficult for younger generations to understand within our current social norms. At ISTP, where the majority of the faculty were born and raised from a country other than the United States, it’s a tremendous treasure that our teachers bring different values and cultures to the school, imparting this knowledge to our students. 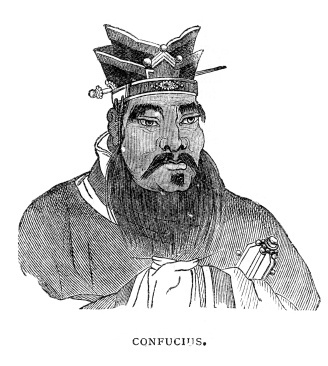 The idea of respect has evolved throughout the generations and may not be the same today as it was in Confucius’ time, but learning about all the traditions in its authentic context, hence understanding the different expectations from teachers who hail from different parts of the world is a vital part of preparing students for an increasingly diverse world. We all chuckled over his comment, but I think he did point out something that sets teaching apart from many other admirable professions; you not only need extensive knowledge, skills, patience and passion to do your job, but you also need to have love, for both what you do and for all these individual little creatures that you put under your arm. Simply for that, we need to re-emphasize and call for respect to teachers, everyday but especially on a very special day - September 28, the 2562th of Confucius’s birthday, also known as Teacher’s Day in Taiwan. I will be giving a presentation on the same topic to both elementary and middle school students at the assemblies and have students demonstrate their respect and gratitude to their beloved teachers in different languages, in appropriate cultural manners, and in their own creative ways.